You TELL everyone the results of your test. My position is probably closer to May’s than Zakaria’s (i.e., STEM is a platform for many careers). Since most educators agree (as do I) that studying liberal arts is also important for students and for the nation, the brouhaha Zakaria is trying to stir up by insisting that it is dangerous to stress STEM education is really a tempest in a teapot. It appears that Zakaria’s target audience is not educators, but politicians (i.e., the people who hold the purse strings). 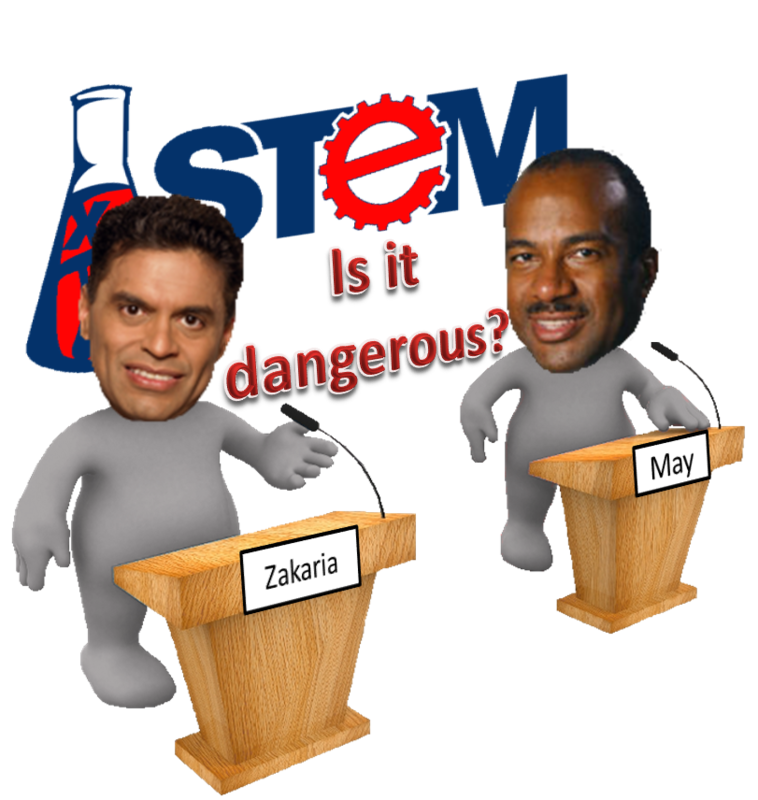 Zakaria concludes, “Critical thinking is, in the end, the only way to protect American jobs.” I don’t disagree with that conclusion; however, I still believe that students will learn more and better critical thinking skills in STEM subjects than they will in the arts. But I do agree with Zakaria that without a good liberal education, those same students will be unable to explain with clarity the concepts they develop.